Thank you to the generous donors who gave to this capital improvement project! We are excited to watch as this project progresses over the next few weeks. The crew finished grading the track this morning and started pouring the track surface this afternoon. 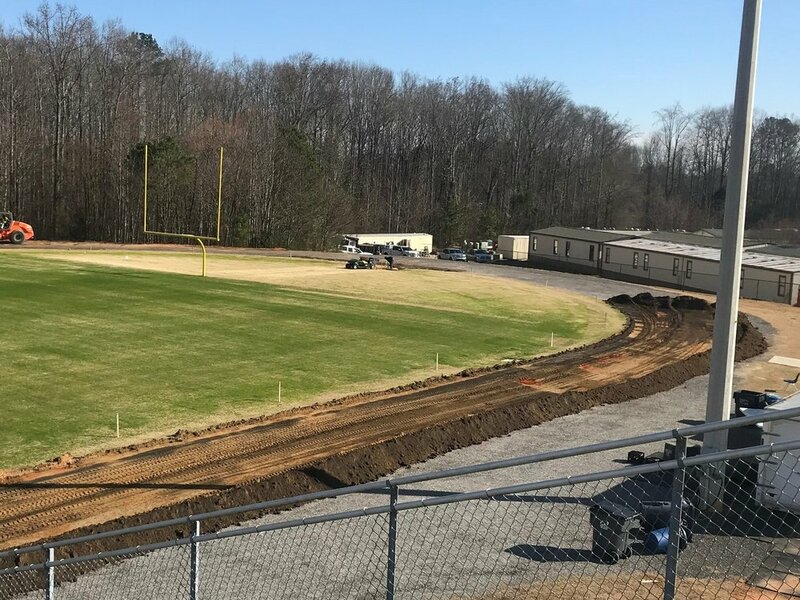 They are making their way—full circle—around the track, continuing the preparation of the foundation. Surveying equipment has been brought to the field today. The crew has started to lay the foundation dirt for the track. The project kicked off this morning with the arrival of equipment. The crew spent much of today working on the edging of the track to ensure that all the edges are level and that the drop off is safe. The completion of the project occured today as the stripes were painted on the the track surface.